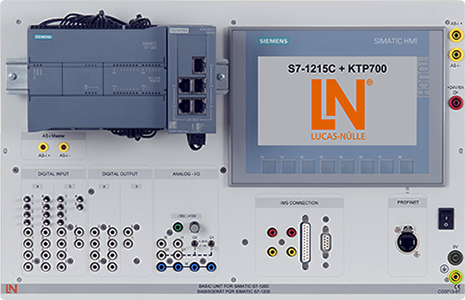 Modular training system for PLC devices in the SIMATIC S7-1200 range. Profile rails are fully accessible and can accommodate a PROFIBUS or an AS-i master module. KTP700 touch panel includes an Ethernet port for communication and programming.